Knowing how to reset Windows comes in handy when your system is effected by critical errors/issues that can have an adverse impact on the normal functioning of your device. Resetting, refreshing or restoring Windows solves problems, errors or issues that might be preventing your Windows PC desktop or laptop from performing tasks and running apps/programs. Not many Windows users know the proper way of resetting Windows 10, Windows 8, Windows 8.1 operating system to fix Windows PC error(s). Experts suggest Windows reset/restore/refresh is the best way of fixing any kind of error on PC Windows desktop/laptop. A Windows reset successfully solves many issues that other methods fail to tackle. It brings your copy of Windows back to the clean state like its new, weeding out any viruses and issues behind system malfunction. If after trying all other methods of fixing PC Windows fail to solve the problem, then apply this Windows refresh method to restore system back to normal state. Windows refresh and reset are not the same. A Windows refresh simply restores your PC back to its default state. 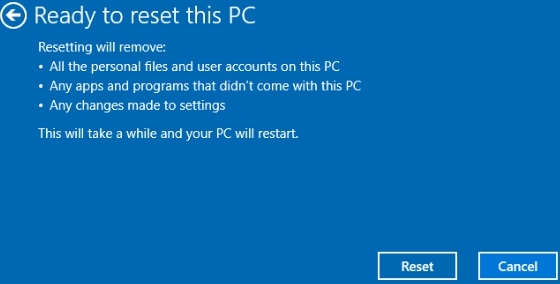 However, Windows reset not only restores the system to default, it also cleans files and personal data from errors/viruses/issues before re-installing Windows. This makes PC reset a more comprehensive way of dealing with critical system errors. 7 – Follow the on-screen instructions as prompted. 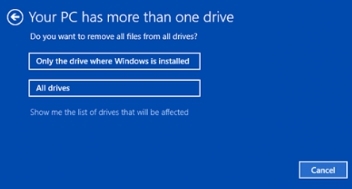 When you select Remove Everything option, you will be asked to select a drive that you want to clean. To clean the PC altogether, select ‘All Drives’ option or to clean an individual driver to keep files in other drives intact, select the desired driver to clean from the options box. 8 – System refresh takes around 20 – 30 minutes, depending on the drive data and system speed. However, system reset may take up to a an hour or more. 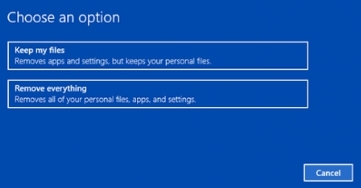 Windows 8 / 8.1 users can follow the steps below. Here’s how to reset Windows. 6 – For system reset, you’ll need to follow the same options as above. That’s all. You Windows PC should be back to its perfect working condition. For queries, send comments below.